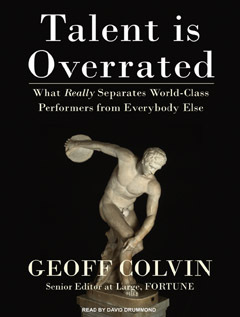 Geoff Colvin persuasively and intelligently delves into the question of what natural-born talent might be and where it might operate. 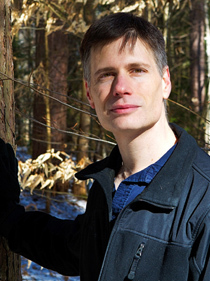 The surprising conclusion is that while there are some aspects of “talent” that can be inborn–for instance, potential level of intelligence or physical potential–most of what we think of as “talent” is the direct and easily-documented effect of mainly one thing: deliberate practice (which has a specific meaning that he lays out in the book). The takeaway is that most of us can become exceptionally good at almost anything we want, but we have to be driven enough to work very hard at it for a very long time for that to happen.